As an important part of renewable energy utilization and smart distribution, the increasing penetration of electric vehicles for the rapid growth in load demand and especially electric vehicle can be a smart solution for the islanded nanogrid or in an emergency outage case. The electric vehicle is not a new concept and has been conceptually and practically available for the last century and will change the financial as well as environmental attractiveness of on-site generation (e.g. PV, or fuel cells). In islanded mode, based on the power balance between renewable electric sources and loads, the energy management and dispatch of EVs and PV are optimized to minimize the operational cost and maximize the benefit of islanded microgrid. 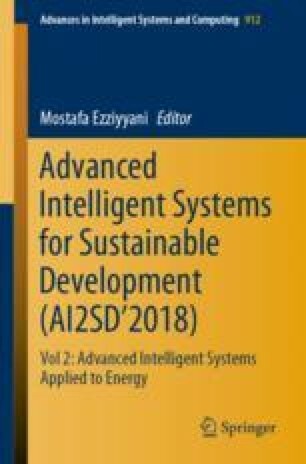 This paper present an efficient power management based on mobile power stored in electrical vehicle and power produced by solar panel in a residential distribution and focuses on the analysis of the optimal interaction of electric vehicles with householders network, which may include photovoltaic (PV) for an efficiency energy management system. The effectiveness of the proposed strategies for the optimized operation of EVs is validated by case studies and performances analysis.